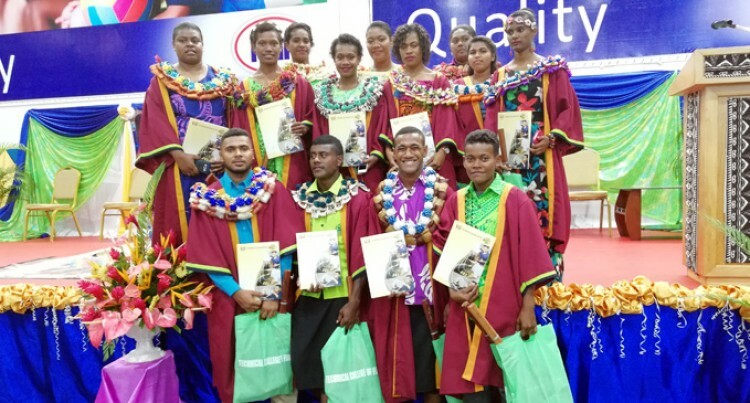 Technical College of Fiji Agriculture students after the graduation. Navishiek Nihal Prasad knows his parents’ expectations are high; he knows that he does not have the capability to fulfill them. He fascinates cars and he does not mind dirtying his hands. He is fortunate his parents understand his aspirations and they supported him when he decided to attend the technical College Central at the Nabua Sanatan Campus to do automotive engineering. He lives in Narere with his parents and younger sister who is attending Rishikul Primary School. “I like to repair vehicles, maintain them and clean them,” Navishiek said. Navishiek is now working with the Korean Motors in Vatuwaqa. “I do not mind waking up early in the mornings to be at Vatuwaqa five days a week,” he said. “I am used to it now, it is something I enjoy doing. “Next year I will be attending Fiji National University to do my Levels 3 & 4.